(as listed in DJ Magazine, No. 133, 16th February 1995). 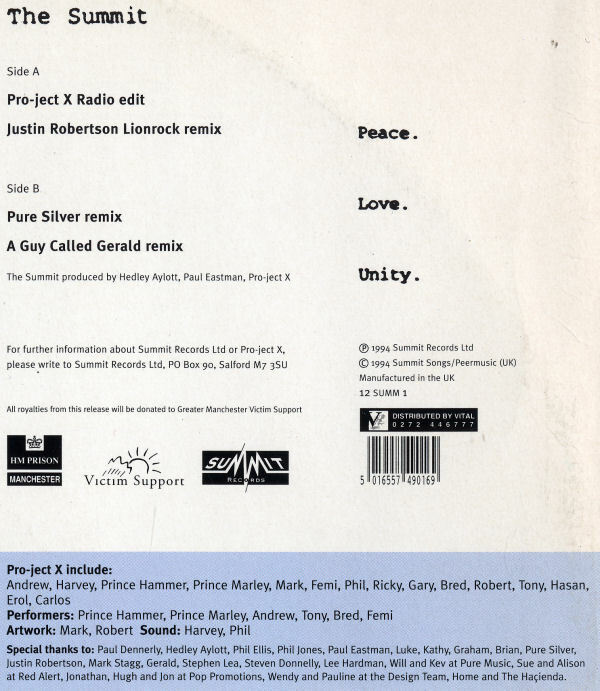 Remixed by A Guy Called Gerald. 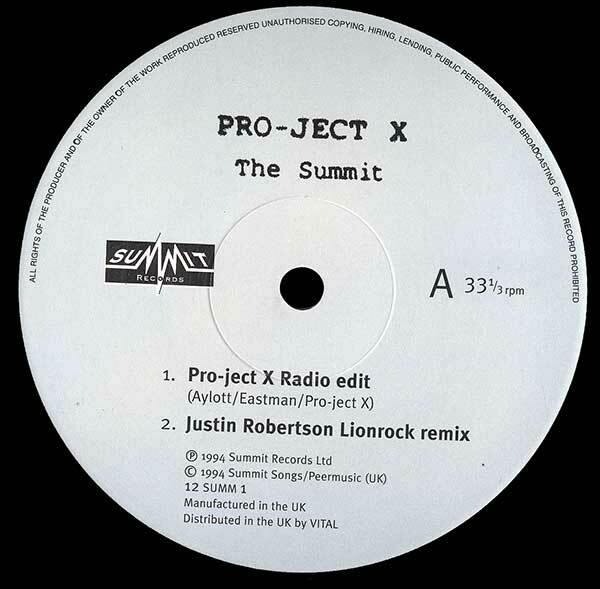 Producer: Hedley Aylott, Paul Eastman, Pro-Ject X.
Pro-Ject X: Andrew, Harvey, Prince Hammer, Prince Marley, Mark, Femi, Phil, Ricky, Gary, Bred, Robert, Tony, Hasan, Erol, Carlos. Performers: Prince Hammer, Prince Marley, Andrew, Tony, Bred, Femi. 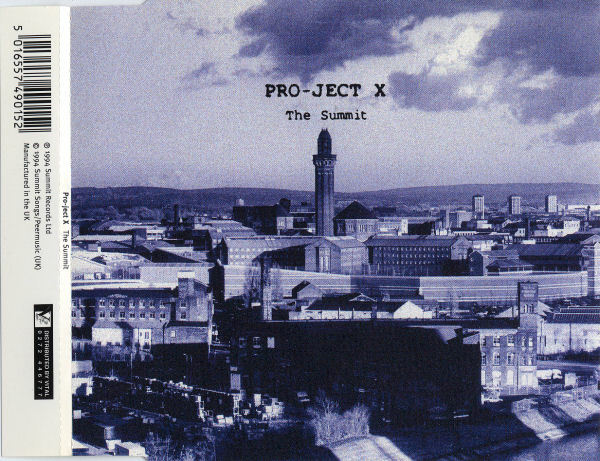 Out of Strangeways Prison comes the first ever commercial record release, the first of its kind worldwide. 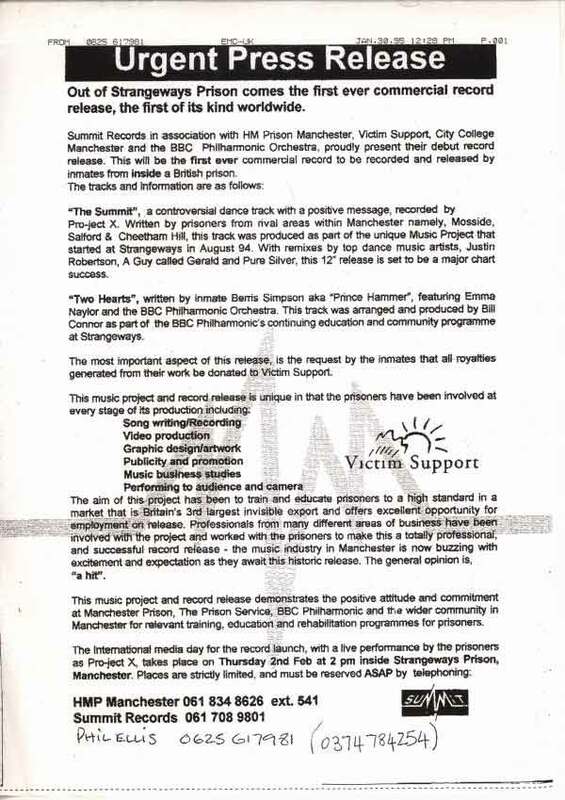 Summit Records in association with HM Prison Manchester, Victim Support, City College Manchester and the BBC Philharmonic Orchestra, proudly present their debut record release. This will be the first ever commercial record to be recorded and released by inmates from inside a British prison. 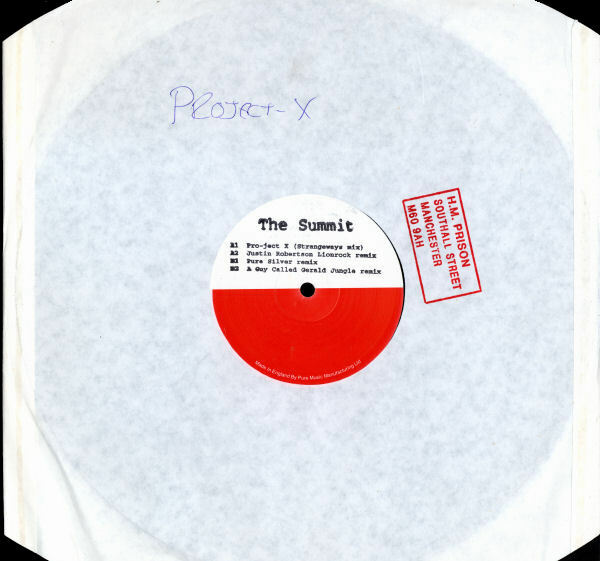 "The Summit", a controversial dance track with a positive message, recorded by Pro-ject X. 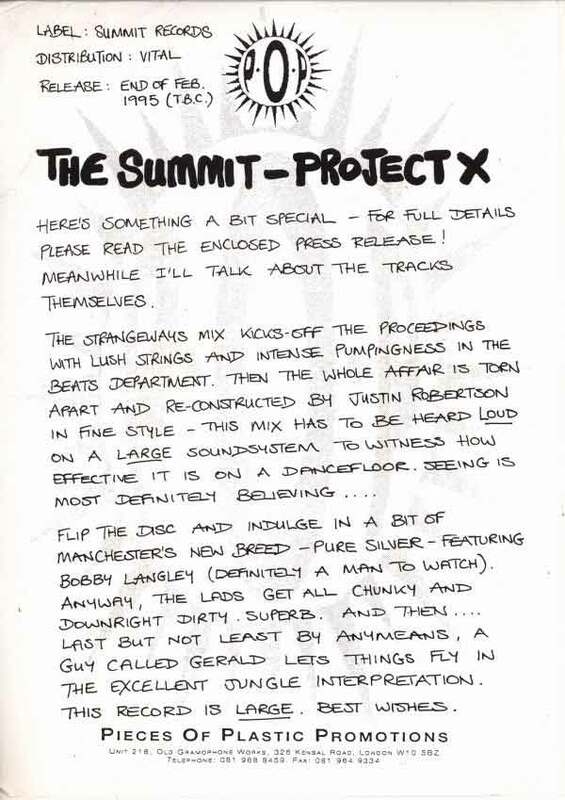 Written by prisoners from rival areas within Manchester namely, Mosside, Salford & Cheetham Hill, this track was produced as part of the unique Music Project that started at Strangeways in August 94. 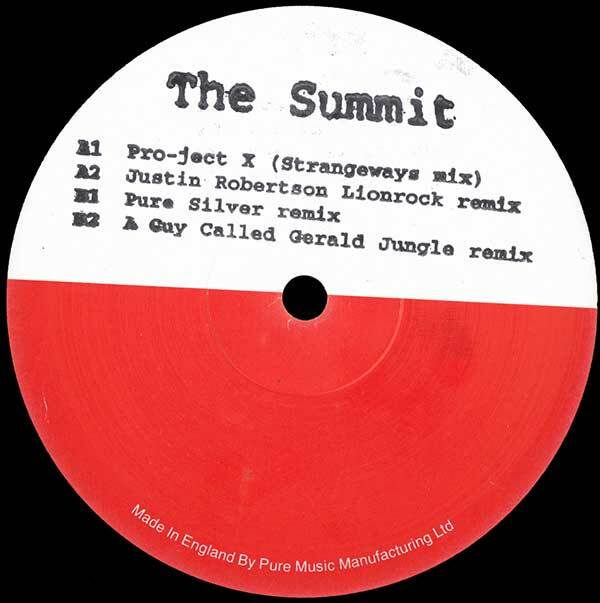 With remixes by top dance music artists, Justin Robertson, A Guy called Gerald and Pure Silver, this 12" release is set to be a major chart success. "Two Hearts", written by inmate Berris Simpson aka "Prince Hammer", featuring Emma Naylor and the BBC Philharmonic Orchestra. 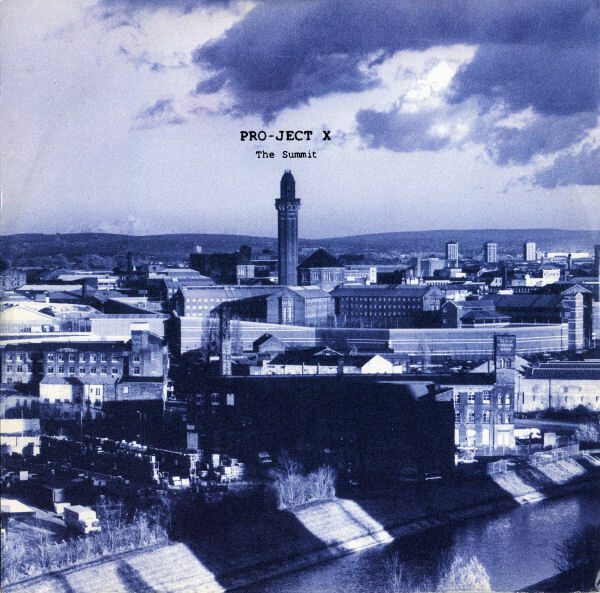 This track was arranged and produced by Bill Connor as part of the BBC Philharmonic's continuing education and community programme at Strangeways. The most important aspect of this release, is the request by the inmates that all royalties generated from their work be donated to ' Victim Support. The aim of this, project has been to train and educate prisoners to a high standard in a market that is Britain's 3rd largest invite export and offers excellent opportunities for employment on release. 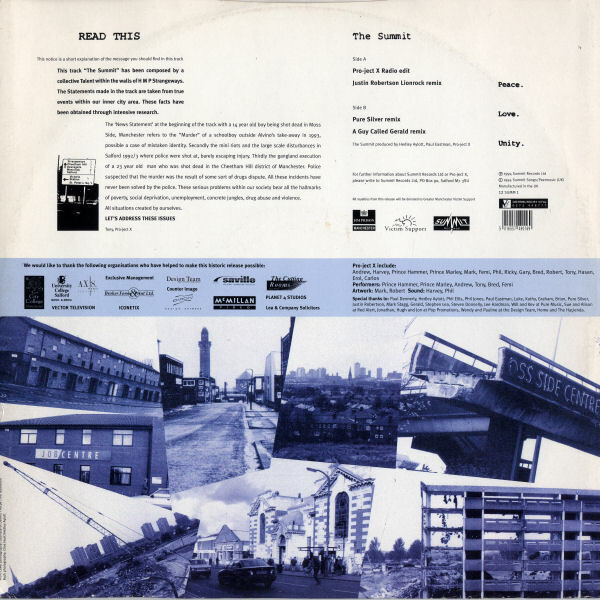 Professionals from many different areas of business have been involved with the project and worked with the prisoners to make this a totally professional, and successful record release - the music industry in Manchester is now buzzing with excitement and expectation as they await this historic release. The general opinion is, "a hit". This music project and record release demonstrates the positive attitude and commitment at Manchester Prison, The Prison Service. BBC Philharmonic and the wider community in Manchester for relevant training, education and rehabilitation programmes for prisoners. Here's something a bit special - for full details please read the enclosed press release! Meanwhile, I'll talk about the tracks themselves. 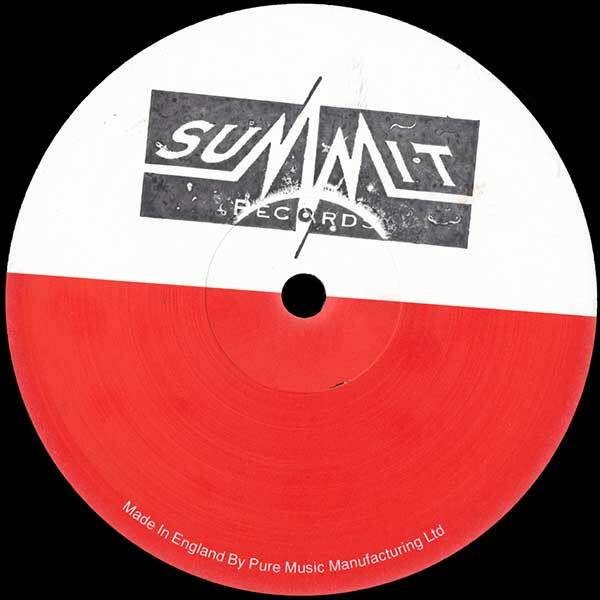 Flip the disc and indulge in a bit of Manchester's new breed - Pure Silver - featuring Bobby Langley (definitely a man to watch). Anyway, the lads get all chunky and downright dirty. Superb. 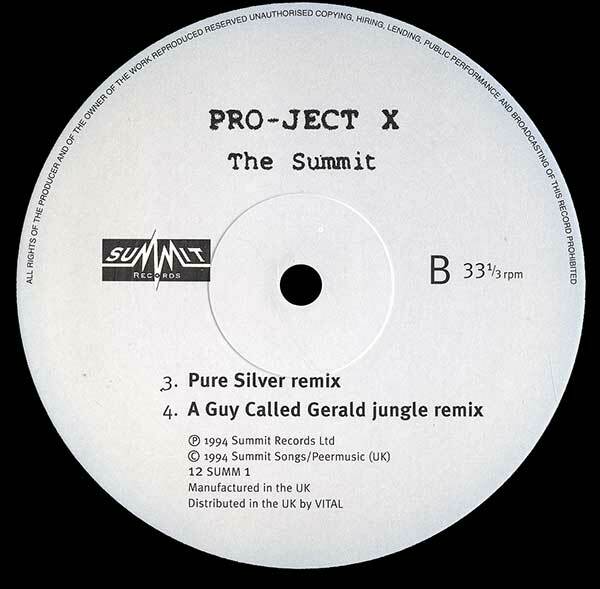 And then... Last but not least by any means, A Guy Called Gerald lets things fly in the excellent Jungle interpretation. This record is LARGE. Best wishes. Charity record issued to highlight the problems of inner-city Manchester. 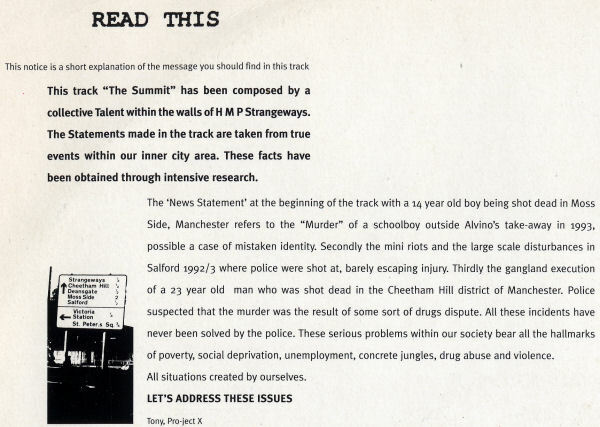 Track "has been composed by a collective Talent within the walls of H M P Strangeways (prison). The Statements made in the track are taken from true events within our inner city areas. These facts have been obtained through intensive research." "Emboldened by his success at Norwich, Hedley Aylott approached Manchester's Strangeways prison and convinced the governors of the potential benefits of setting up a recording workshop there. 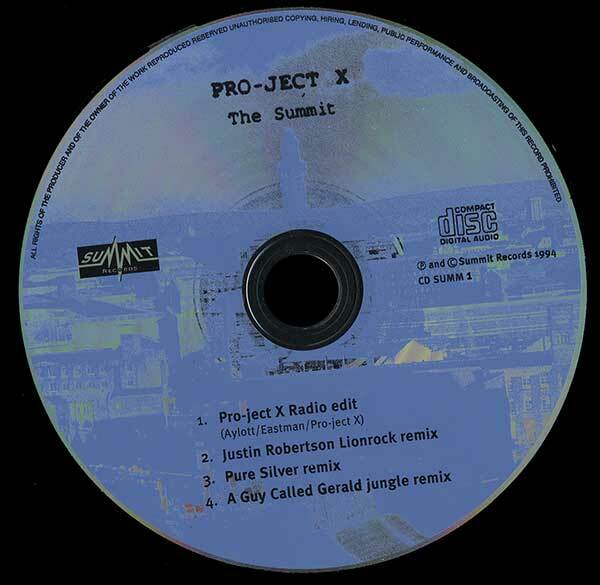 As a result, 10 prisoners from many different cultures came together in what became known as Project X, in which they wrote and recorded a dance track about the coming together of street gangs. 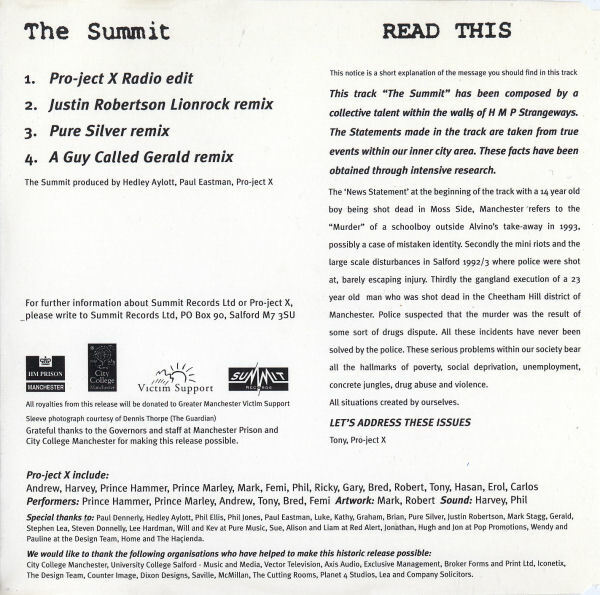 The track was called The Summit, and they set up their own label, Summit Records, releasing it themselves as a single in 1995. 'The performers were confident, streetwise guys, including Prince Hammer and Prince Mali, two Jamaican-born rappers. I was the enabler,' Aylott says. The record sold 18,000, the royalties going to the charity Victim Support. This led to a collaboration with the BBC Philharmonic - a 90-piece orchestra performed Fanfare for Strangeways inside the prison. 'It crystallised my view that inexperienced guys could produce a high-quality professional product,' Aylott says. While still teaching one day a week at Strangeways, he was invited to HMP Wolds in 1996 to run further music projects."